Up until a few years ago, if you simply entered “plumber” into Google’s search bar, you’d get results from all over the country. It didn’t matter if you were located in California, Arizona or Florida, you’d get the same top 10 results no matter what. And how exactly would that help you? A plumber in Arizona isn’t going to drive out to your place in Florida, nor would they be able to fix your plumbing in a pinch. Fortunately, Google has made some major changes since that time, and now, search results are heavily influenced by the exact geographic location of the searcher. Many search results nowadays even include maps, pinpointing a company’s precise location in relation to the searcher. That means more personalized, localized results, and a better match for users in search of immediate help or services. If your company relies heavily on local, geographic-specific business, then taking advantage of these search engine changes is crucial. It can lead to significant increases in business, sales and revenues in the long run. 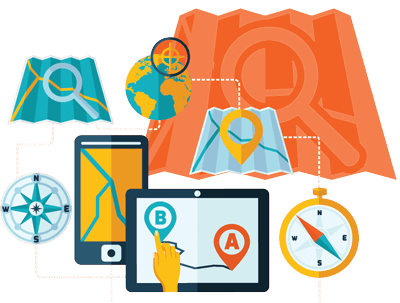 The integration of geographic data in search results represents a huge opportunity for local businesses on the worldwide web. With these changes, your site is no longer forced to compete with businesses and providers all over the country – only ones in your specific area. This makes it infinitely easier to rank highly for your keywords, and it makes reaching your exact target audience more possible, too. Additionally, when search results are localized, it also cuts down on the number of unqualified, unviable leads your brand is exposed to – searchers who in no way are going to buy your products or use your services. In the long term, that means more online conversions and a more effective web presence on the whole. But while this localization of search results definitely offers you a great chance to improve your site and its results, that doesn’t mean it comes easy. Since you’re no longer relying on Yellow Pages, print advertising or phonebooks to draw in business, you need to devote significant time, effort and resources to your online marketing. It’s only through this that you can truly take advantage of localized search and all it has to offer. At Adwords Partner, we specialize in online marketing for small, local businesses. We’ve booked over 5,000 jobs for clients by utilizing Search Engine Optimization (SEO) and Pay-Per-Click (PPC) for our clients. Want to learn more about local Internet marketing or talk about a plan specific to your business? Contact Adwords Partner today, and schedule your free one-hour consultation.